Nottingham is among a handful of innovative British cities leading the nation’s energy initiatives after claiming eighth place in the second UK Smart Cities Index. The – commissioned by Huawei UK and conducted by Navigant Consulting – report is based on evaluations of 20 cities and their strategies, key projects and overall readiness in using digital technology to improve crucial civic services from energy production to healthcare. 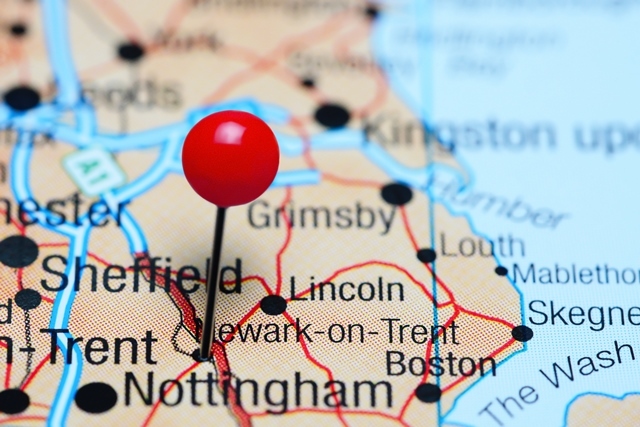 Nottingham has built up a strong roster of smart projects and initiatives, particularly for energy, to help meet the aims laid out in its Nottingham City Council led Energy Strategy 2010-2020. Those goals included the city delivering 20% of its energy from renewable sources by 2020, as well as reducing carbon emissions by 26%. Nottingham is powering ahead, in 2016 the city exceeded its 2020 carbon emissions target, the current reduction stands at 36%. Nottingham is now starting to align its Energy Strategy with its Smart City Strategy seeing the two as integral to each other. The City Council is a leading local authority in the energy sector; it has the first UK’s first publicly owned car park to have a solar canopy. Its Energy Projects Service is developing solar projects to fully utilise the Council’s assets and has a pipeline of solar projects to roll out across its estate by 2020 including more solar car parks. The Council is also investing heavily in reducing its energy demand and carbon emissions by installing smart technologies and has the largest carbon reduction commitment of UK local authorities in the Salix scheme. It will soon be piloting cutting edge fuel cell technology in three of its high energy consuming buildings; gas boilers will be replaced with fuel cell systems if successful at significantly reducing energy demand and costs then this will be rolled out to many other buildings across the city. Project SCENe, a sustainable community energy project, has been a key initiative that brings together companies involved in the energy supply chain and academics from the University of Nottingham to work with around 120 homes to deliver new models for community energy schemes. The project is supported by Innovate UK funding and the Energy Research Accelerator, and is also deploying a 2 MW Tesla battery in what is expected to be Europe’s largest community battery installation at The Blueprint development in Trent Basin. Nottingham is demonstrator city for a smart city Horizon 2020 project, REMOURBAN, which is developing a groundbreaking model to show how sustainability can be integrated into the regeneration of our towns and cities. The project, which is led locally by Nottingham City Council, Nottingham City Homes and Nottingham Trent University, is making great strides to regenerate an area of the city.